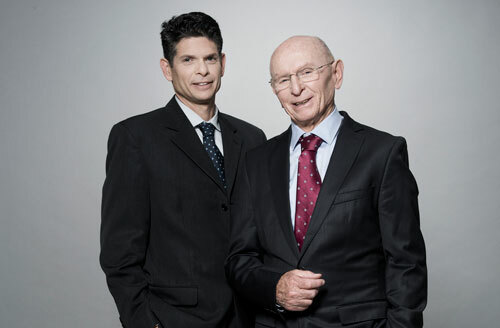 Amnon, aspired to revolutionize the industry, and inspired with the insights of Ofira, his wife, a prominent and renowned painter, his young son, Tzur, a respected and successful architect, and a select team, led by his oldest son and Vivial’s CEO, Shai, took on that vision and made it into reality. Click to watch an interview with Amnon and Shai. Today, Vivial manufactures natural diamonds that undergo a proprietary color-revealing™ process that safely simulates the conditions in nature for creating fancy color diamonds, which positioned Vivial as the leading company of its kind, and the only natural color diamond provider to be both ISO 9001 and ISO 14001 certified. Our exquisite offering serves everyone in the global luxury supply chain, from high-end designers and manufacturers of fine diamond jewelry to influential fashion houses and retail brands. Vivial’s proprietary color-revealing™ process represents the first method to successfully imitate the proper temperature and pressure conditions found in nature to achieve the innate color potential of each individual stone – with total precision and unquestionable safety. Combining diamond analysis expertise with flawless production capabilities and hands-on service, Vivial is capable of repeating orders large and small to exact color, cut, clarity and carat requirements. Our color-revealing™ process is in full compliance with accepted trade practices as set forth in the CIBJO Blue Book, chapters 4.21, 4.25.